For sheer fun and exhilaration, driving in an ex Red Army Soviet-era amphibious armoured reconnaissance vehicle takes some beating. Driving the 18’ long, 7-tonne, all-wheel drive armoured car is one of best ways to spend a morning in Moscow. 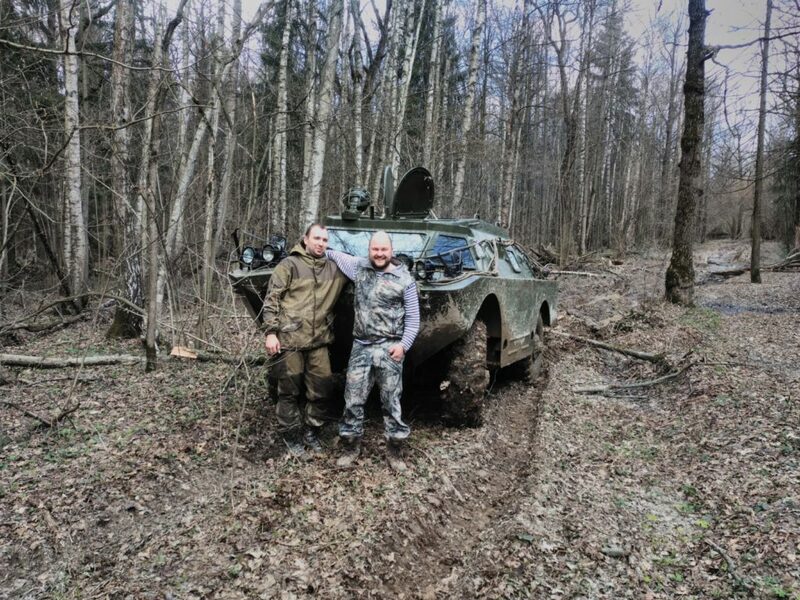 We met up with Sasha, his team and the army green BRMD-2 armoured car in woods just outside Moscow. The BRMD was built in Nizhny Novgorod between 1962 and 1989 with over 7,000 vehicles produced. The BRDM-2 became famous for being the vehicle selected to pull Brezhnev’s coffin during the funeral ceremony in the Red Square. Our vehicle was imposing sat quietly on huge bullet proofed tyres, and when we scrambled in and grabbed our seats, was clearly designed for nimble, athletic types with rock solid bits to sit on! The warming vodka we had with our welcome breakfast helped as no one complained as we grabbed our seats. Sasha fired up the engine and ‘quietly’ went out of the window. We took off through the woods. Navigation was obviously no problem as he steered a straight line for several hundred metres, creating his own track through what had been a quite solid bank of greenery. Back in the day, reconnaissance obviously did not mean stealthy or covert as the transmission whined, gears crashed and the bellowing V8 announced our arrival to anyone in a few square miles. Quiet it was not.